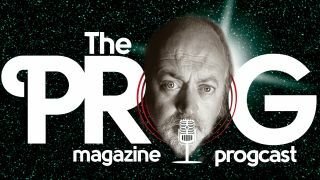 It's the new Prog Magazine podcast with Bill Bailey! It's the brand new Prog Magazine podcast, with our favourite comedian Bill Bailey! Bill's about to start a run of his at the West End's Wyndham Theatre performing Larks In Transit, which runs from December 3 to January 5. The show is a compendium of travellers’ tales and the general shenanigans of twenty years as a travelling comedian. Bill will be taking the show around the country later in the year too, starting in Brighton in May. Tickets for the London run of shows are available here. So Prog's Jo Kendall popped round to Bill's fo a chat, which takes in his love of music, specifically progressive rock, Larks In Transit, the gift bestowed upon him by Peter Gabriel after Bill presented him with the Prog God Award at the 2014 Progressive Music Awards and loads more. All in Bill's inimitable style and with some music thrown in for good measure.